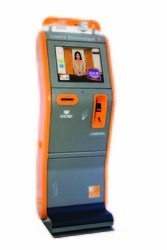 Internet Pay For Use Kiosk. Application high-traffic trade show, event, retail, hospitality, and healthcare environments. Our Kiosk are anti-dust, vandal proof with good security. 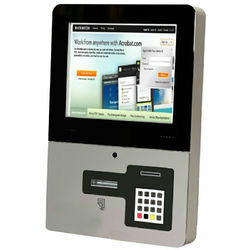 Standard options : Contantless Card Reader / Encrypted Pinpad / Card reader / receipt printer…. 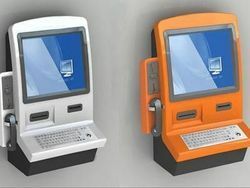 kiosk, information kiosk, interactive kiosk, internet kiosk, self service kiosk, self service terminal, multimedia kiosk, public service kiosk, lobby kiosk, kiosks, payment kiosk, wall mounted kiosk, public information kiosk. Customer order directly on the kiosk and is sent when the kitchen for preparation. Upon payment directly at the kiosk also avoid waiting in requesting the account. Now we just have to pick up your order at the restaurant. Unattended, Anti vandalism, strong metal or stainless steel mechanism integrated with smart electronic alarming and server system. More than 38 years manufacturing experiences. Our interactive kiosks can be customised for variety of applications, designed to meet the needs of your market. With good impression on customers & robust construction built for heavy daily usage. Order self-service model is a simple process, in which customers can browse through a graphical menu using an interactive touchscreen interface of a terminal installed in the restaurant. Once payment confirmation of the the order is done it goes immediately to the kitchen where it is being cooked in accordance to specific requirements. Looking for Resturant Order Self-service Model Kiosk ?